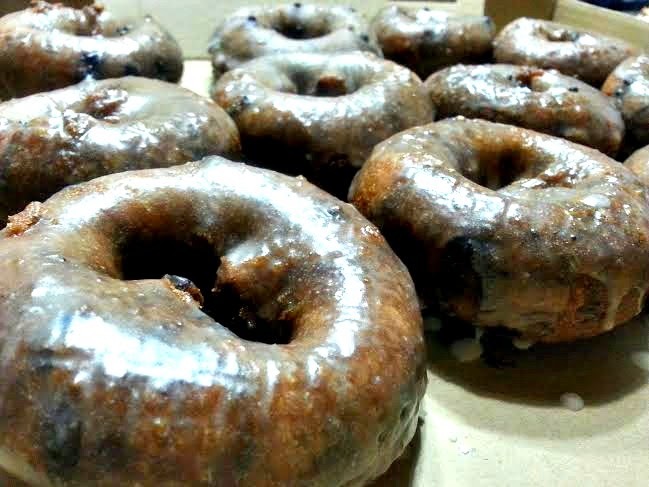 I stopped eating fried donuts the day I received my cake donut pans from my fairy godmother. No, let me rephrase that- I may have stopped indulging but I'm up for tasting anything new in the market. 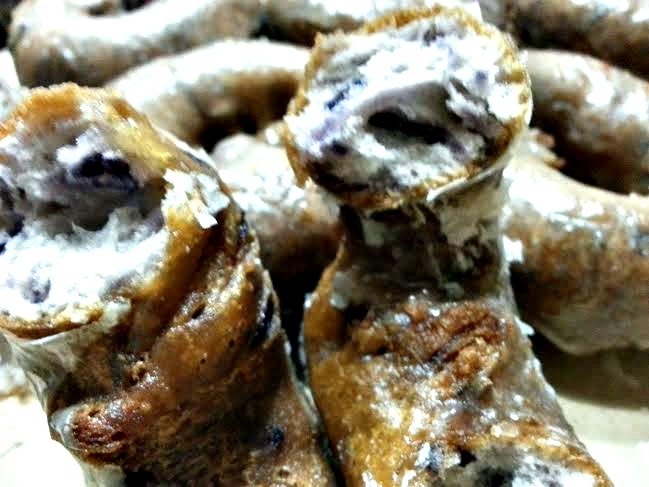 I still want to taste those donuts featured on Unique Sweets on the Cooking Channel just to find out how good they are. 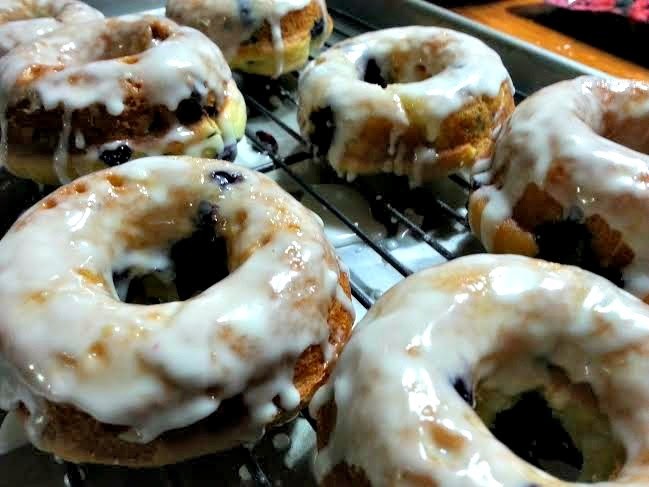 Talking about stuff currently making noise in the market - I'm sure every donut connoisseur in Southern California has experienced the M & M Blueberry craze. I finally did and I consider myself lucky just because I didn’t have to suffer the 3-hours wait to get my hands on it. A box landed in our table at past midnight and who am I to refuse? It’s time to unravel the mystery of its popularity; what gives? 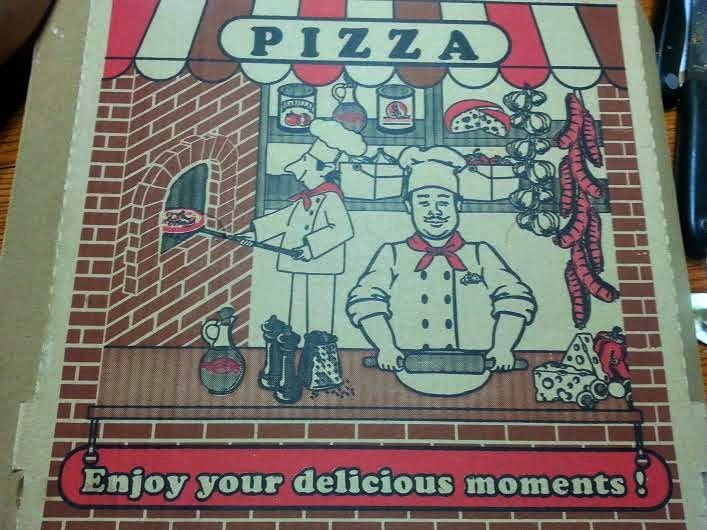 The donuts came in a pizza box- they must have their reason or reasons for doing so other than an attempt to be different or unique. The wonderful aroma of blueberries hits you immediately as you open the box. I'm sure they're dried hence the aroma and just tiny flecks of blue. I have to give it an A for the level of sweetness; just to my liking. Another A for the texture- it has that crunch outside and soft inside aspect; overall- they're pretty good but I was expecting to be amazed to justify the long queue of people flocking the donut place and the long hours of wait. But to each his own! 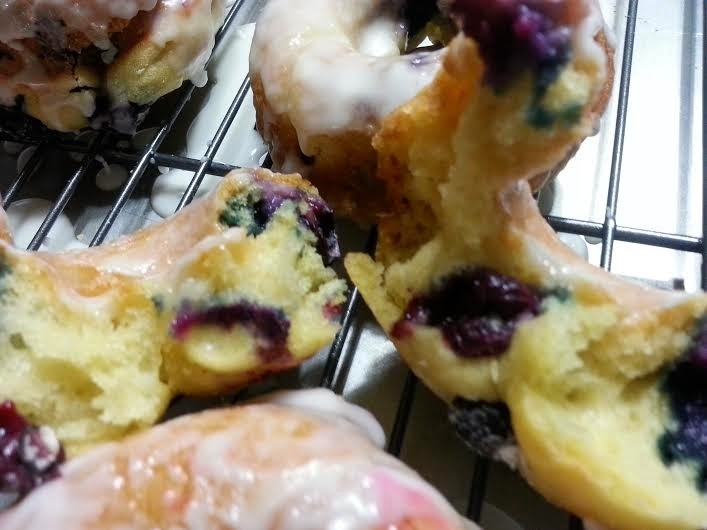 Meanwhile, the experience prompted me to revisit my Blueberry-Lemon-Yogurt Cake Donut from way back. 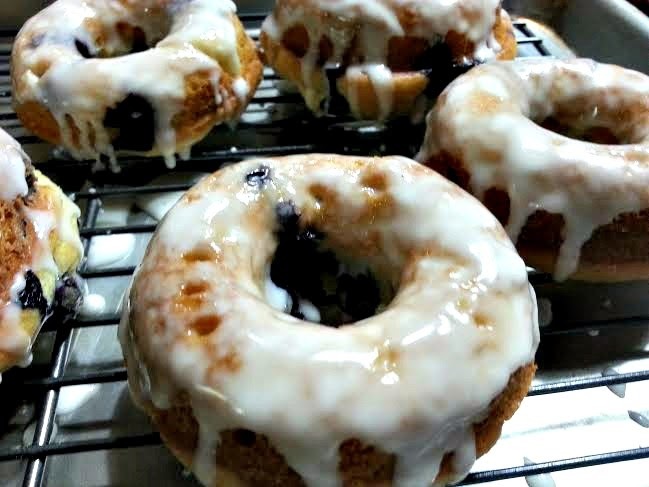 The glaze is powdered sugar whisked with fresh lemon juice and the blueberries are fresh as well. These are delicious in its own way and none of the after-eating-fried-food guilty feeling.